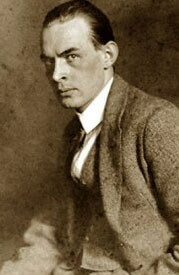 Erich Paul Remark (1898 – 1970) is better known by the pseudonym Erich Maria Remarque (Maria being his mother’s maiden name). The son of a poor bookbinder, Erich was born in Osnabrück, Germany. He was attending school to become a teacher when, in 1916, he was called to fight in World War One. At the Battle of Flanders, in July 1917, Remarque was wounded by British grenades and taken to a field hospital in Duisberg. After returning from the war, Remarque worked as a school teacher then an ad-writer. In 1920, he published his first novel, Die Trambaude (The Dream Room) under his own name. He later stated in an interview that “I published an early work, a novel, whose title I will not name, even under torture. For this reason Remark became Remarque.” From 1927-8, Remarque’s second novel, Station am Horizont (Station at the Horizon) was serialized under his real name. 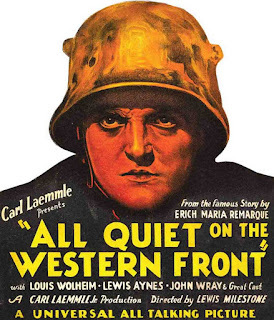 Im Westen nichts Neues (All Quiet on the Western Front) was published serially from November to December 1928, and published in book form in January 1929. It was an overnight success. It was also one of the books included in the first Nazi book burnings. Remarque fled to Switzerland in 1933, at an indefinite point remarrying his ex-wife so she wouldn’t be forcibly repatriated. He later moved to the United States, becoming an American citizen in 1947. In 1957, Remarque divorced his wife, and married again a year later. Remarque passed away in Switzerland in 1970. “We were eighteen and had begun to love life and the world; and we had to shoot it to pieces” (87-8). 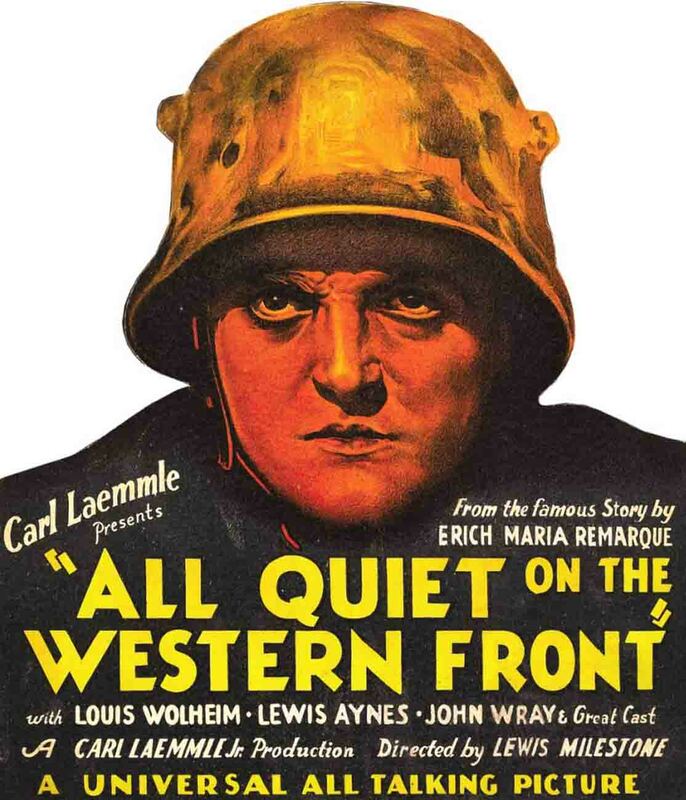 All Quiet on the Western Front tells Paul Bäumer’s experience of World War One. From the front lines to his hometown, from the hospital back to the front, All Quiet is the story of one man trying to make sense of a world gone to pieces, where the difference between life and death is luck. It is the story of how war destroys youth. The passages describing the war are awe-inspiring. Frequently horrific, they somehow retain a strange semblance of beauty and romanticism. “There is no escape anywhere. By the light of the shells I try to get a view of the fields. They are a surging sea, daggers of flame from the explosions leap up like fountains” (66). While the cover of my copy declares that this is “the greatest war novel of all time,” it is also one of the great anti-war novels. The war is beautiful in the same way a hurricane or erupting volcano is beautiful. There were two other World War One novels on this list, H.G. Wells’s Mr. Britling Sees It Through and Vicente Blasco Ibáñez’s The Four Horsemen of the Apocalypse. Both were published in 1916 and therefeore don’t cover the end of the war, and only the latter has extensive battle sequences. Wells’s novel takes a hoepful view of the war, suggesting that people may (or at least could) create a better society out of the wreckage. Ibáñez doesn’t suggest that war can ever be defeated, but views World War One as a necessary fight against German militarism. Remarque better reflects the postwar perspective: the war was a tragic waste of human life. “I’m not so sure about that,” contradicts Kat, “he has not had a war up till now” (205-6). In 1930, a film version was released, winning the Academy Award for best picture and best directing. Yes. It’s a classic for a reason, and that reason is quality. Remarque, Erich. All Quiet on the Western Front. 1929. New York: Ballantine, 1982. Print. I agree with everything you wrote. I don't know how Remarque did it, but he managed to write beautifully about horrible things. It's heart-wrenching. I've read this twice and think of it as one of the "War is bad" books. But by now, that message has been said and shown so many times. I'm thinking now the real question for literature to address is not, "Is war bad?" or "How bad is war?" but, "Since we've all been saying that war is bad for so many years, how come we keep engaging in it? What's the attraction? Why do we keep sticking our hands in that fan blade even though we know it's going to be a gory mess?" I recently read this novel. I think I expected a lot of noble, sentiment, but what I got was an incredibly vibrant book, full of life, action, and an almost cinematic realism. Yes, the book is anti-war, but it succeeds as an anti- war novel because it imbues it's characters with such life that you feel the tragic waste in every loss of life. I had never imagined that a novel this old--and a "classic" to boot--would be so filled with life! I'm glad you read and blogged about WWI. Not many people realize what a brutal war it was. Strange--I wonder why the movie poster lists Lewis Aines, instead of Lew Ayres?